For people struggling with alcoholism or drug addiction, the thought of life without a drink or drugs can seem almost impossible. The unfortunate reality is that the majority of individuals seeking help for their addiction problem will not find success for any sustained period of time. While the recovery rate for alcohol and chemical use disorders may be low, there is something that can be done to greatly increase the chances of kicking the habit once and for all. The good news is that the answer will not only help you to stay addiction-free over the long term, but it is inexpensive or free! So what is it? Have no fear; we are not talking about becoming an ultra-endurance athlete, a pumped up gym rat, or an Olympian. Just the simple inclusion of some physical activity can have a radical impact on your quality of life and chances of sobriety. During active addiction, the drugs and alcohol that a person consumes have a large impact on a complex set of structures in the brain called the limbic system. This part of the brain is largely responsible for creating a person’s feelings and motivations. In short, this system plays a major role in how a person sees the world and subsequently behaves in it. While substance abuse does warp and alter this brain system, exercise can actually have the opposite effect. A regular exercise routine helps to grow new cells in this area and put the brain in homeostasis. We know that drugs and alcohol impact chemicals in the body including serotonin and dopamine. For someone new in addiction recovery that is trying to rebalance these neurotransmitters, physical activity can help to speed up the process. Prolonged substance abuse creates dependence, and with that comes a period of withdrawal when a person stops using. Some of the physical characteristics include shaking, extremes in body temperature, nausea, and vomiting. In addition to these physical ailments, there are other difficulties that can last from 5-10 days or as long as a year and a half. These are referred to as post-acute withdrawal symptoms or PAWS, and may include insomnia, depression, anxiety, irritability, trouble thinking clearly, and difficulty with coordination. Not only are these feeling uncomfortable, they are particularly dangerous for the recovering addict, as they can be contributing factors for relapse. The great news is that you can be proactive in your recovery, and by adding exercise to your daily routine, you can have a serious impact on these symptoms. Physical activity, whether it be lifting weights or going for a jog can be used as a safety valve to help vent feelings of agitation and stress. By participating in activities like these, it gives a person time to separate from whatever situation is causing the agitation. This time spent physically moving can be a period to think instead of acting impulsively and potentially dangerously. 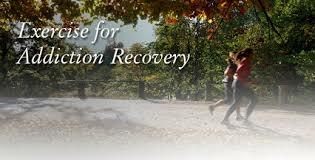 Most people that are entering recovery did not arrive on a particularly positive note or a winning streak. In most cases, individuals that are newly sober reached this part of their life through a string of harmful consequences and hard times. This can have a negative impact on self-esteem and belief in one’s self. The good news is that this particular area is one in which exercise can have a direct impact. By setting and reaching small goals with physical activity, a person may start to lay the foundation for winning behavior. Small successes with exercise can help to build confidence and lead to commitment and motivation in other areas of life. As self-efficacy increases, a person can continue to produce positive results as they gain confidence and handle situations as they arise. When starting down the road to recovery, it is common that people find themselves with an abundance of extra time on their hands. During a person’s drinking or drug using career, the majority of the day was spent thinking about using, actively using, or recovering from using. In sobriety, there are suddenly a large number of hours each day that are unaccounted for. This down time, if not filled with something positive or healthful, can be potentially dangerous for the recovering addict. This extra time is perfect for an individual to start an exercise program. The less time a person spends on the couch thinking about the past, the better. We know that exercise and being physically active can have a major impact on a person’s chances of staying sober, but where do you begin? The best way to implement a new workout routine is to be honest about where you are starting and have realistic goals. This may be as simple as a ten minute walk around the neighborhood a few times a week or going to play basketball for 20 minutes in the park. Try a few different activities and find one that you enjoy. The more fun that you are having being active, the more likely you are to stick with it. Initially, being consistent is the most important thing when becoming more active. Stick with your program and give your body time to adjust. Keep your eyes on your goals and be as tenacious about healing yourself as you were about harming yourself. You will be amazed at just how different and wonderful your new life can be. What if I told you there was a healthy and inexpensive way to heal the body and mind from the ravages of addiction? What if that same approach would help you to stay addiction-free and sober over the long term? The great news is that such a thing exists! What we are talking about here is exercise and physical activity. Those words can be scary for some people, but it is important to keep in mind that we are not speaking about creating an Olympian or a gym rat. We are simply suggesting increasing a person’s amount of physical activity to a safe, fun, and healthy level. There are a number of physiological and psychological benefits to exercise. For the average person, these benefits can have a wonderful impact on the mind and body, but for the recovering addict, they are a critical piece to the recovery puzzle. A regular fitness program in addiction recovery can help to repair the brain, grow new brain cells, and help to prevent relapse. When a person exercises, it helps to put the brain in homeostasis, grow neurons, and create new pathways in the brain. Moderate intensity exercise has been shown to increase dopamine and serotonin levels as well as release endorphins. These are the same chemicals that have been altered by drug and alcohol abuse. One of the most important aspects for an individual that is starting down the road to recovery is developing new healthy habits, starting new relationships, and finding new ways to spend their time. Incorporating an exercise program into their lives can help to do all of this. Team sports, exercise classes, or working out with a partner is a wonderful way to reintegrate socially and to develop constructive interactions. The more fun a person is having and the more connected they are feeling to their new lifestyle, the less likely they are to miss the old drinking and drugging acquaintances and hangouts. For individuals that are recovering from addiction, it is important to find a way to cope with stress, anxiety, anger, agitation, and depression. Drugs, alcohol, and food were the only way that most of us knew how to deal with any feelings; so cultivating a new outlet is key to sustained recovery. Exercise can be the “safety valve” to vent these emotions by separating a person from what is antagonizing them and giving them time to think rather than act impulsively. Being physically active can help to build mental strength, self-confidence, and discipline. The great news is that you do not need to spend a fortune on equipment or any fancy gadgets to get started. You could begin today just by walking out your front door. The most important thing to keep in mind is that it is not about the amount or intensity of the exercise regime. To start, it is more about getting in the habit of being active. Every person will have a different starting point and it is important to identify yours. If a five-minute walk at a slower pace is your maximum to begin, that is great! You can start with that and build from there. Most of us did not come into recovery on a winning streak. By incorporating an exercise program, you can change that and start to build momentum in a positive direction. Get outside, get some fresh air, have some fun, and start moving around! Is Muscle Dysmorphia related to Addiction? A growing number of adolescent and adult males are dissatisfied, preoccupied, and even impaired by concerns about their physical appearance. When body image dissatisfaction, compulsive exercise, and dysfunctional food intake combine and intensify, there is a risk for a psychiatric condition known as muscle dysmorphia. Muscle dysmorphia shares characteristics with eating disorders, obsessive–compulsive disorder, and body dysmorphic disorder. This condition has become more common and is frequently associated with anabolic steroid use. This particular disorder is found primarily in the male population, and as the diagnosis of eating disorders in men continues to rise, there are more patients identified as having this condition, particularly in addiction communities. Unfortunately, most men with muscle dysmorphic disorder are not inclined to seek help, classifying this condition as ego-syntonic (values are consistent with one’s ideal self-image). While muscle dysmorphia shares some commonalities with other DSM-5 disorders, it does have characteristics that are unique. In particular, this condition is a disturbance of body image perception in which individuals become obsessively preoccupied with the belief they are too small, too thin, or insufficiently muscular. However, in most cases, these individuals are actually more likely to have a higher proportion of lean body mass than the average person. There are a number of associated behaviors that may accompany this condition, such as a rigorous weight-lifting regimen, a diet that is protein and high-energy intake focused, and in some cases, the desire to avoid public body display. Many individuals that are living with this condition are convinced they look much smaller than others of similar size, leading to considerable social impairment and emotional distress. Most men with muscle dysmorphia have educated themselves about nutrition through bodybuilding communities, so a part of treatment may include re-education about sensible eating that can be sustained over the lifespan. For decades, eating disorders were commonly considered to be a female problem. This belief came from the overwhelming predominance of women that chose to seek help for their condition. The idea that women were the only ones struggling with disordered eating was perpetuated when treatment facilities began to tailor programs specifically for female patients. Until recently, the psychiatric community identified the absence of menses as diagnostic criteria for anorexia nervosa. Finally, an increasing number of men are now seeking treatment for eating disorders and these conditions are now known to impact both genders. With the growing amounts of males seeking treatment, healthcare professionals are now seeing more cases of muscle dysmorphia, particularly in addiction treatment settings, where they have traditionally been undetected and unaddressed. Muscle dysmorphia shares several characteristics with eating disorders, and there is a resemblance with obsessive-compulsive disorders. Common compulsive behaviors include rigorous dietary rituals, excessive exercise, self-inspection, and reassurance seeking. This condition is characterized by obsessive thoughts that are centered on the relentless pursuit of muscularity. One study reports that 22 % of male subjects suffering from muscle dysmorphia formerly met criteria for anorexia nervosa. Additionally, 13 % of these individuals met the criteria for bulimia nervosa. These eating disorders resemble muscle dysmorphia in that they both involve a compulsive preoccupation with perceived physical inadequacies as well as a drive to cover up defects and excessive exercise. It is very common for these individuals to avoid activities involving eating due to fear of disrupting their diet, or forgo personal relationships that may interfere with the time needed to focus on working out or food preparation. Muscle dysmorphia is frequently associated with various types of substance abuse—most notably, appearance and performance-enhancing drugs. Anabolic steroids, classified as schedule III controlled substances, are the most widely sought after and abused drugs in this category. 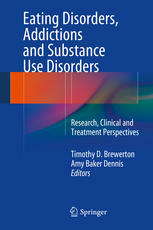 In addition to the damage that steroids cause, additional long-term consequences include dependence syndromes and progression to other recreational drugs. In fact, a recent study focused on a population living in a treatment facility found that a significant percentage of male heroin addicts used opioids to counteract associated depression and withdrawal following steroid use. Individuals who meet criteria for muscle dysmorphia often display distorted self-perception, exercise compulsivity, disordered eating, and abuse performance-enhancing agents. This can be further complicated by habitual and entrenched substance abuse as well as dependence syndromes on stimulant-based pre-workout supplements, which are legal, unregulated and can be purchased easily. Many of these formulas contain illegal stimulants that can lead to a positive urine analysis and create chaos and confusion for the addict in early recovery. There are a number of treatment options when treating muscle dysmorphia. In addition to stopping muscle hypertrophy training, reducing or eliminating excessive sports supplements, including protein/amino acids, creatine, and pre-workout formulas are important goals. Reducing overall protein intake, which reportedly can be as high as 3 g/kg bodyweight, is often resisted by many bodybuilders who believe this will lead to muscle atrophy. Arguably the most critical objective is to avoid the diet-related extremes driven by the constant preoccupation regarding body image that characterizes these individuals. The first barrier to treatment in muscle dysmorphia is in identifying the disorder, since patients often look healthy from an outward perspective, and often get reassurance from society. As prevalence rises and body image disturbance in males becomes more common, there is a need for more sophisticated assessment tools. More research is needed to uncover neurobiological and psychosocial factors that may underpin the unique pressures males experience with respect to accepting or trying to perfect their physical appearance. Sustainable recovery should be based on therapeutic strategies aimed at normalizing the self-destructive thoughts, emotions, and behaviors that characterize this complex and incompletely understood condition. Men in addiction treatment settings and sober livings should be screened for muscle dysmorphic disorder and referred to psychiatrists, therapists, and dietitians for help. To my knowledge there is not a treatment center in the United States designed exclusively for the treatment of muscle dysmorphic disorder. What do you think of when you think of an eating disorder? What comes to your mind? For many people, it’s the image of a young, middle class, white female, purging after a meal in hopes of not gaining weight. While this is certainly the stereotypical image, the truth is that eating disorders impact the lives of individuals of all ages, races, economic status, and genders. So why do we hear so little about men that struggle with eating disorders? Men as well as women are affected by eating disorders, but there are some different challenges that they face in regard to seeking and receiving treatment. Part of the problem with the diagnosis of an eating disorder in the male population is that the criteria for recognizing these conditions have been generally gender specific. For instance, leading up to May of 2013, amenorrhea, or the absence of menstruation, was also used to identify anorexia nervosa. Criteria for bulimia nervosa includes the use of laxatives or vomiting in order to keep weight down. While this may certainly be true for the female population and a portion of their male counterparts, men are likely to use compulsive exercise as a way to compensate for their overeating. Excessive exercise in the male population is often encouraged, which make it difficult for men to realize their problem. Due to the fact that the public views eating disorders as a female issue, there can be a great deal of shame for a male who is struggling with one of these conditions. For a male suffering from bulimia, this shame can lead to a delay in them seeking treatment, or keep them from ever seeking help at all. In the case of binge eating disorder, it is much more likely to go unnoticed in the male population versus the same condition with a female. One of the obstacles in treating men with eating disorders is that it is far less common for a medical doctor to diagnose a male with one of these conditions. Male eating disorders do not receive the attention that females do, and that has lead to fewer facilities that treat or specialize with the male population. The difficulty in diagnosing and treating this population has lead to an imbalance between men and women with eating disorders, and has continued to perpetuate the problem. 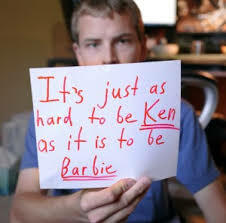 We know that the male population suffers from disordered eating in the same way that women do. It is important that we start to lift the stigma, remove the stereotype, and educate the public on this reality. Living with an untreated eating disorder is painful, and it is important that individuals feel comfortable with coming forward to ask for help. These conditions are life threatening and males as well as females need support to overcome them. Men and women, please come forward! We are here to help! For many years, people have used calorie counting as a way to help navigate them through the complicated world of food. Today with the use of different websites and smartphone apps, there are an endless number of ways to track each calorie ingested as well as every calorie burned through out the day. Many individuals use these resources with the intention of losing weight or becoming healthier, but in many cases these flashy gadgets, watches, and applications can actually send the wrong message. One of the problems with looking at food in this way is that not all calories are created equal. There is a large difference between 200 calories of kale and 200 calories of ice cream. One of these options is loaded with fiber, vitamins, minerals and antioxidants, while the other has little nutritional value. By putting all foods on an even playing field and only looking at one aspect, it undermines the complexity of how the human body uses calories and nutrients, as well as how they interact with each other. When focusing only on calories, it is common that individuals often restrict healthy foods. For example, nuts and seeds in general are high in calories for their weight. What many calorie conscious individuals may not consider is all of the other benefits that come along with those types of foods. Fiber content, healthy fats, protein, and a host of minerals are all things to take into account when selecting foods. In addition, quite often these foods can help with satiety and keeping a person feel fuller, longer. Another thing to take into consideration is that the nutrients in food can differ between the seasons, the variety, and the ripeness. This is to say that an orange that is eaten today may have a slightly different nutrient and calorie makeup than one enjoyed three months from now. This may sound insignificant, but if this is the case with many items throughout the day, week, or month, it could to equate to a vast difference in the number of calories a person thinks they are getting, and what they actually are. In addition, food labels can be inaccurate. According to the Food and Drug Administration, labeling laws allow for up to a 20% margin of error. When the math is calculated on that, it can equate to large fluctuations in the actual amount of calories. Take for example an item labeled as being 600 calories. By law, the item could actually contain up to 720 calories. If a person is just paying attention to calories alone, this is an inexact science that can leave them wondering why the results are not showing. A more positive and sustainable approach to healthy eating is paying closer attention to the types of food being eaten and reducing the amount of processed food in the diet. Including fresh, whole foods that are close to their natural state is far more beneficial than agonizing over whether or not a few extra blueberries will max out the calorie count for the day. To put it simply, the balance of calories in versus calories out does not work. If it were that easy, more people would do it and the obesity epidemic would not be what it is today. There is no quick fix, and in order to have success, it is important to look at health and nutrition as a lifelong process. So put the calculator down and start looking at the bigger picture. 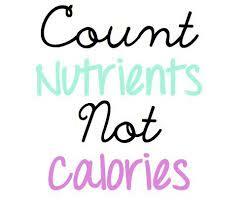 Nutrition and the health of the human body are more involved than simple addition and subtraction of calories. Ever wonder about sports beverages such as Gatorade, Vitamin Water, Muscle Milk, and Coconut Water? Learn the sports beverage truth! Registered Dietitian Nutritionist David Wiss sits down with Krystle Rich from Time Warner Cable and breaks down each beverage, offering practical advice. Mr. Wiss is never afraid to tell the truth about deceptive marketing. Watch below for the whole story! Gatorade can be used for endurance activities of 90 minutes or more such as running or cycling. It is useful for replenishing electrolytes following sweat loss. Vitamin Water Zero is absolutely useless for post-workout nutrition. Muscle Milk is a scoop of protein powder mixed with a multivitamin and should only be used for convenience when there are no other options. Coconut water can be useful for light activities such as hiking or bike riding. The electrolyte balance is not optimal for endurance training with intense sweating. 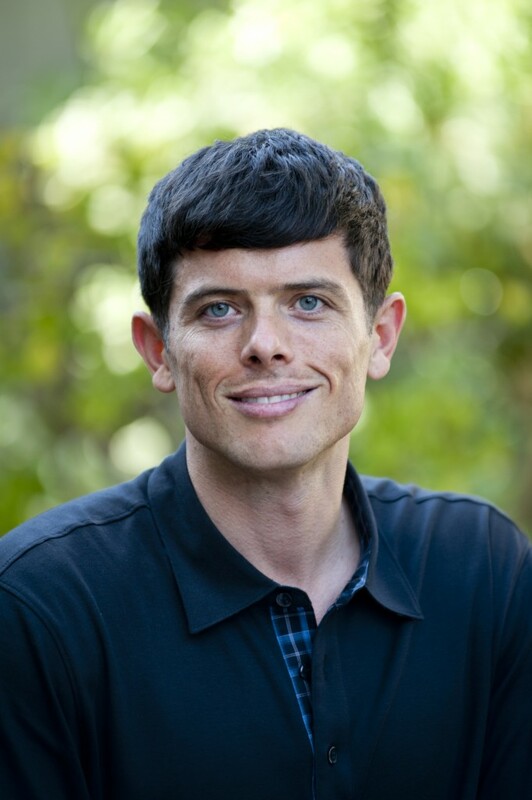 On June 27, 2014 David Wiss MS RDN presented the latest research and his clinical insight and expertise at a meeting held by the Sports, Cardiovascular, and Wellness Nutrition Dietetic Practice Group of the Academy of Nutrition and Dietetics. The theme of the meeting was “Be a Catalyst for Change” and was the 30th annual SCAN Symposium. Mr. Wiss was invited through the Disordered Eating and Eating Disorder (DEED) subunit of the practice group. This text includes a groundbreaking chapter on Muscle Dysmorphia. Muscle Dysmorphia: What Happens when Body Image Collides with Exercise, Nutrition, and Substance Abuse? A growing number of adolescent and adult males are dissatisfied, preoccupied – even impaired by concerns about their physical appearance. Feelings of discontent and insecurity can lead to disordered eating and substance abuse when males compare themselves against popularized cultural standards of attractiveness and see themselves falling short. When body image dissatisfaction, compulsive exercise, and food intake dysregulation combine and intensify, risk increases for a psychiatric condition identified within the past 20 years known as muscle dysmorphia, a disturbance of self-perception in which individuals are obsessively preoccupied with the belief they are insufficiently large or muscular. 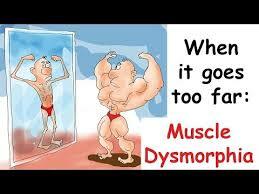 Muscle dysmorphia shares characteristics with eating disorders (such as persistent attention to intake and compensatory behaviors focused on control of weight/shape), obsessive-compulsive disorder (excessive body monitoring and physical activity), and body dysmorphic disorder (including extreme attention to outward appearance). The condition is frequently associated with anabolic androgenic steroid abuse, which may exacerbate an observed exercise dependence or compulsive drive for muscularity. Therapeutic approaches are guided by the individual symptom picture with respect to issues such as obsessional thoughts/compulsive behaviors, mood dysregulation, and anxiety, and have principally been derived from clinical studies examining body dysmorphic disorder, for which both psychotropic medications and cognitive behavioral therapy are considered first-line treatment. Nutrition education and support is also warranted. More research is needed to increase understanding regarding the unique pressures and profound subjective distress males can experience with respect to accepting their bodies, as well as to develop better approaches to assessment and treatment of this complex condition. 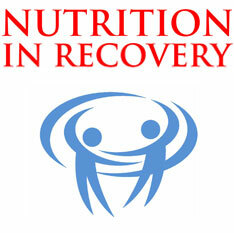 Nutrition in Recovery owner David Wiss MS RDN is one of the few male private practice dietitians in Los Angeles. It is tempting to speculate why they are so few male dietitians in general, but one of the obvious reasons stems from its historical context. Nutrition programs originated from Home Economics curriculum, and to this day is often considered a “Family and Consumer Science”. From an observational standpoint, a majority of the male dietitians become interested in Sports Nutrition and many obtain advanced degrees in exercise science. Before deciding to become a Registered Dietitian in Los Angeles, Mr. Wiss worked as a personal trainer, certified through the National Academy of Sports Medicine. While exploring the different domains of nutrition, the areas of behavioral health (addiction, eating disorders, and mental health) became of highest interest to David, particularly since there are so many men struggling with these issues and not seeking or getting adequate help. 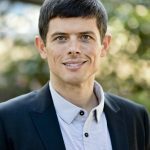 Mr. Wiss recently published a chapter called “Muscle Dysmorphia: Where Body Image Obsession, Compulsive Exercise, Disordered Eating, and Substance Abuse Intersect in Susceptible Males” in a textbook titled Eating Disorders, Addictions, and Substance Use Disorders, which is available through Springer Publishing. Click HERE for a quick glance! If you are a male in Los Angeles struggling with addiction, eating disorders, or mental health issues, contact David today and start the journey towards recovery together.